Firestarters is designed to Equip, Empower, and Activate you in a Kingdom Revival Lifestyle so that you learn to live Naturally Supernaturally. This 12 week course written by Kevin Dedmon from Bethel Church, Redding, CA, is a powerful tool which will challenge you and help enable you to become a Radical Follower of Jesus, and one who Lives Outside the Box. 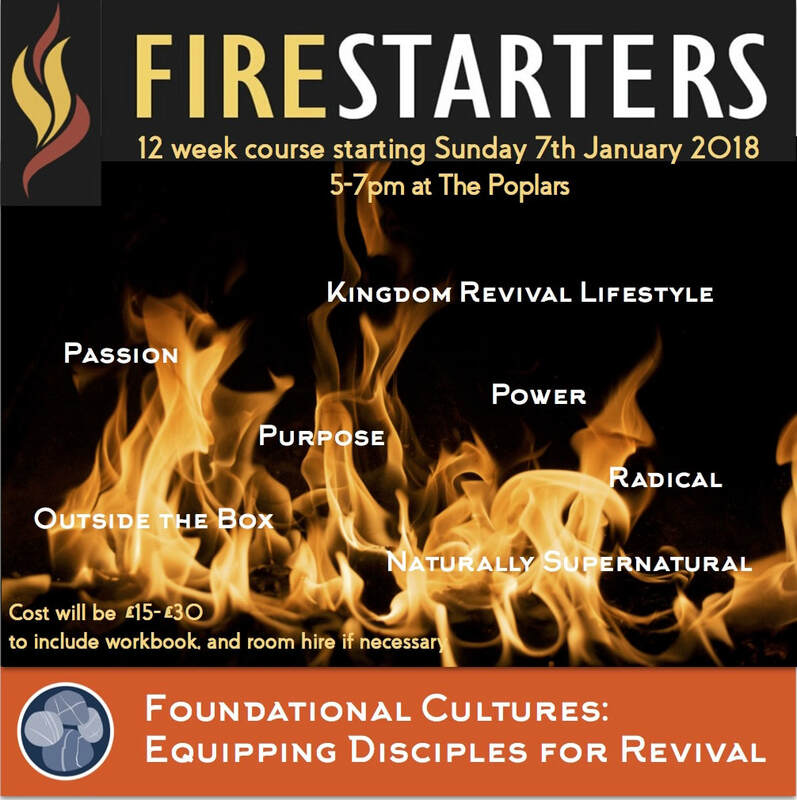 This is our fourth Firestarters course and we are excited to be able to offer another opportunity in Cornwall for hungry Believers to take part and be equipped. A workbook is a necessary part of the course and that is what your £15* is to cover. There may also be a small additional cost towards room hire depending on numbers. The course will run weekly on Sundays from 4.30-7pm, probably starting March 2019. Venue to be confirmed. *If you already have a workbook and/or are looking to do the course again, please contact us and we will register you free of charge.